Appification is the new norm. As consumers spend more time on mobile devices, advertisers are increasingly asking for ways to reach relevant customers and promote their apps. With millions of apps available across multiple platforms, app discoverability is the key challenge. Ads that help users discover apps account for 25 percent of all mobile ad investment. 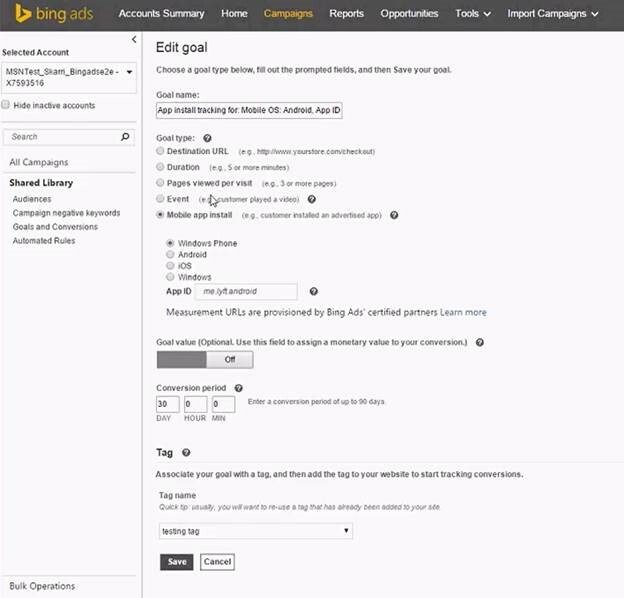 We’re pleased to announce a solution for Bing Ads customers – App Extensions! This is a simple new way to reach relevant customers and promote installs for your apps using Bing Ads. Starting today, App Extensions will be available on mobile (Windows, iOS, Android), tablet and PC. App Extensions allows you to promote apps to help increase downloads. App Extensions are optimized for app discovery and driving downloads using smart detection of operating systems and devices, connecting searchers with the apps in the appropriate app store. Given that all app stores now also support the ability to remotely install apps, searches can help promote apps for multiple platforms on PC desktops, allowing for greater reach. • Increased customer engagement. Promote app installs as a clear call-to-action within your ads to drive installs and engagement. • Detailed reporting. Track clicks and app installs as conversions alongside other performance metrics at the campaign and ad group level. • Usability. Manage extensions at the campaign or ad group level, plus automated metadata changes from the app store (icon, ratings, etc.). • Smart detection. App Extensions provide automatic detection of the user’s device and operating system and sends customers to the appropriate app store. To set up a new App Extension, select it from the Ad Extensions tab, and then the Campaign or Ad Group you want to apply it to. You can then select an app or add a new one. Once you save your new app extension, it will go through the editorial review process to verify the app name and icon. During the setup of new App Extensions, you also have the option to add a “Measurement URL”, which allows you to track app installs via a third party. Note that a goal will be automatically created in your library of Goals and Conversions so that you can begin tracking your conversions with the new feature. 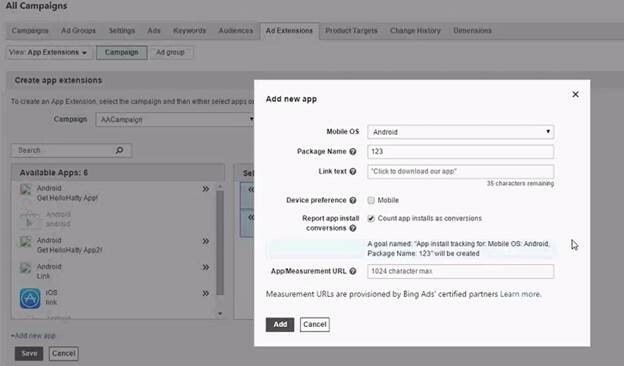 App Extensions’ performance will be reported alongside other extensions in Bing Ads, giving you the same great data you’re used to: Impressions, Clicks, CTR (%), Spend, Average CPC, Conversions (app installs measured using third party measurement support). This data can be pulled at the account, campaign or ad group level via Ad, Keyword or Ad Extensions reports. For a detailed step-by-step and guidance on how to add app install tracking, visit this Help page. You'll also find additional information on this new feature on the App Extensions page here on the Bing Ads site. App extensions are part of a package of extensions from Bing Ads designed to deliver relevant, high quality volume and help you reach more audience. This is just the first step of our journey to bring you solutions to promote your apps and re-engage app users with deep linking ads. As you read this the team is hard at work on the App Install and Engagement Ads. We would love to continue to hear from you and your thoughts. 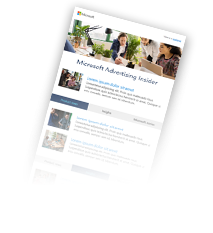 Questions, concerns and thoughts are candidly welcomed at bingads-feedback@microsoft.com.